This is a very important week for those with a passion for horticulture. 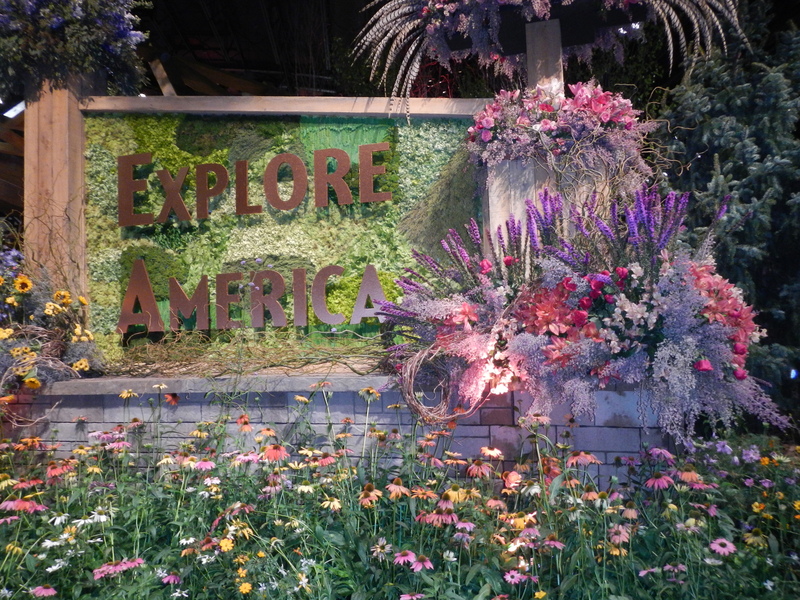 The city of Philadelphia becomes the “city of brotherly love” for flowers – specifically, for the Pennsylvania Horticultural Society (PHS) Philadelphia Flower Show, a celebration of everything from individual floral arrangements to large landscape displays. The Flower Show is an annual exhibition and competition, billed as the oldest and largest indoor flower show in the world and drawing over a quarter million visitors. As this is my spring break week, I decided to take today off from work (OK, so I answered a few work-related emails before leaving the house… and I’ll do the same this evening) and headed into the city to check it out. I’ll shamefully admit that I have only attended one previous Flower Show, but after this year’s theme was announced, I put the event on my calendar. This year’s theme for the Flower Show is… (drumroll, please….) Explore America, Celebrating 100 years of the National Park Service. In fact, this year’s show is being held in partnership with the National Park Service, with over 40 national parks represented by landscape designers using native/local plants to those parks. And new this year is an Education Studio where park rangers from around the country are visiting in person and through Skype to give presentations about plant life, pollinators, and other topics. The show opened up at 10AM, and the first thing I did was head to the Find Your Park Pavilion to get the special Flower Show stamps for my National Park Passport. Then I “camped out” in a good seat to hear two talks. The first speaker, Ranger Bill Lange, spoke on “Conservation Contributions of Theodore Roosevelt.” The second speaker speaker, Ranger Shelton Johnson, did a little role playing and shared his story on “Yosemite Through the Eyes of a Buffalo Solider.” (you may recognize Ranger Johnson in the Ken Burns “The National Parks: America’s Best Idea” series (Ranger Johnson also in this preview)). 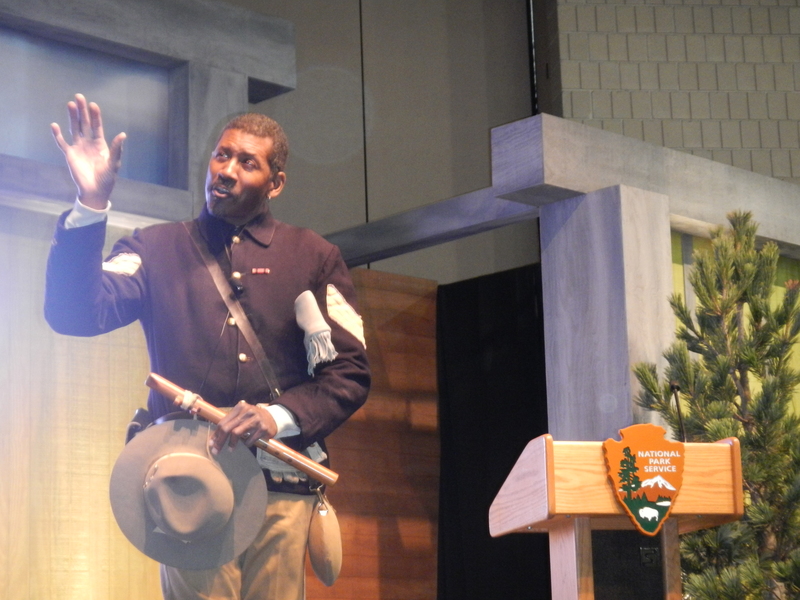 Other talks that I’m disappointed I missed included John Muir and our National Parks, The Legacy of the Civilian Conservation Corps, and Preparing for the Unknown: Climate Change and Managing Cultural Landscapes. 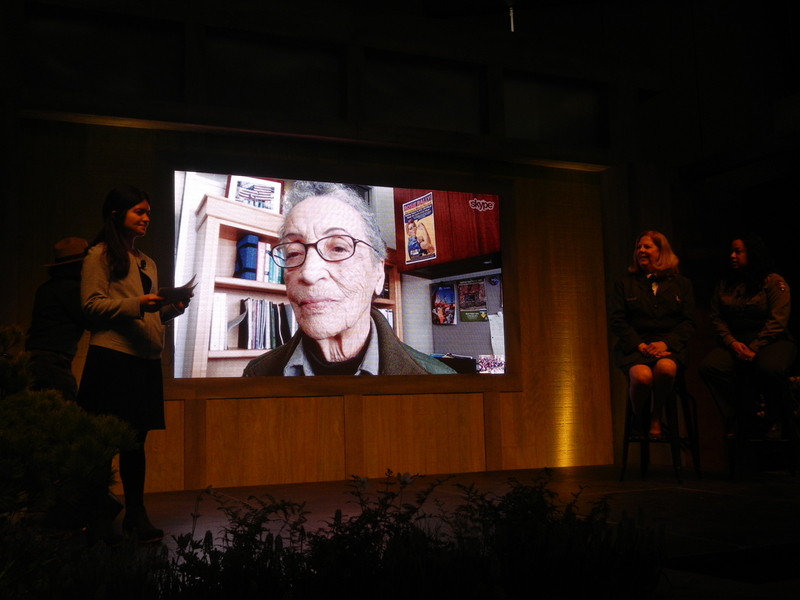 But I did catch one more fascinating panel on “The Role of Women in the National Park Service,” which included the Deputy Director of the National Park Service, Peggy O’Dell, Ranger Lorin Felter from the First State National Historic Park (in Delaware), and Ranger Betty Reid Soskin, a 94-year-old park ranger from Rosie Riveter/WW II Homefront National Historic Park (who joined the group via Skype). I’ll be doing an entire blog post on this panel, so stay tuned! As someone that has visited several national parks, I was really impressed with how creative the landscape design firms and educational institutions were with their use of nature to portray – well, nature! The slideshow I have below doesn’t do justice to the beauty of these national parks conveyed with flowers and more. Granted, the Flower Show is all about the flowers, yet I couldn’t help but take notes (and some selfies!) and reflect upon some great pieces of information and stories to include in my future courses. Thank you, Pennsylvania Horticultural Society, for selecting the National Parks as this year’s theme and allowing everyone the opportunity to “Explore America” in such a unique way! I just wish their was a National Park Service gift shop to stock up on more maps and books about the parks… guess I’ll have to just keep visiting these national treasures in person to continue with my explorations!